EgyptSat-A would replace the Russian-made EgyptSat-2 satellite. In May 2016, RSC Energia reported that it had begun to build the device due to insurance coverage for the lost satellite. The equivalent cost of new work is approximately $100 million. 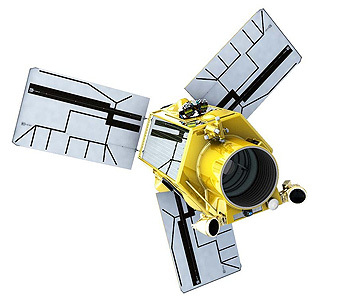 Its predecessor – EgyptSat-1 – was manufactured by the Ukrainian enterprise Yuzhnoye design bureau. The satellite was launched in 2007 from the Baikonur cosmodrome using the Dnepr launch vehicle. In July 2010, the management of the device was lost. As reported, the launch of EgyptSat-A was initially scheduled for November, 2018, then postponed to December 2018 and then to February 7, but the deadline was later postponed to the end of February. EgyptSat-2 was launched on April 16, 2014 from the Baikonur cosmodrome, in January 2015 transferred to management by the customer – the Egyptian State Committee on Remote Sensing and Space Research. Four months later, there were malfunctions in the operation of the onboard digital computer complex of the satellite, and later the connection with it was lost. It was assumed that in an orbit at an altitude of about 700 km it will work for at least 11 years. One of the key problems that caused the postponement of the satellite is that the SP Korolev Rocket and Space Corporation Energia (RSC Energia) could not find the technical risks insurer during the launch and operation of Egyptian-A; not a single company filed application for participation. The maximum premium under the contract was $19.89 million, the insured amount was $117 million. 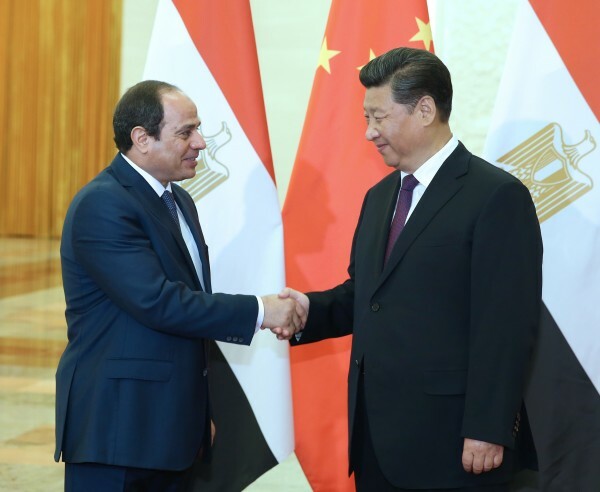 However, it was reported that on January 21, 2019, China agreed to grant $72 million for the EgyptSat-2 Earth observation satellite programme which is the third grant provided by China to Egypt for the satellite project, with an initial grant of $23 million given in 2016, and a second grant worth $45 million provided in 2018. The ceremony of signing the agreement was also held recently in the Egyptian capital. This was reported in the Chinese Embassy in Cairo. The document was signed by Han Bin, Trade Counselor of the PRC Embassy, ​​and Mahmoud Hussein, the head of the National Directorate of Remote Sensing and Space Science of Egypt. Referring to cooperation in space as an important content to strengthen the Sino-Egyptian all-round strategic partnership, the Ambassador of the People’s Republic of China in Egypt Song Aiguo noted that China is ready to make joint efforts with Egypt to promote the successful implementation of the EgyptSat-2 satellite project, to continuously enrich the content of bilateral cooperation in the field of high and new technologies in order to achieve great results in bilateral scientific and technical cooperation. Egyptian Minister of Higher Education and Scientific Research, Khalid Abdel-Ghaffar, noted that the Egyptian-Chinese cooperation in space, aviation and other high-tech areas is successfully developing. He expressed the hope that the project will strengthen the construction of the potential of space technology in Egypt. “The launch will be carried out by the Soyuz-2.1b carrier rocket with the Fregat upper stage, which will deliver the satellite directly to the working orbit. Under the EgyptSat-A contract, it will be in the working orbit by the end of March, and the use of these launch vehicles (rocket and overclocking block – ed.) allows you to meet the contract deadlines, “- said a spokesperson from the Agency. EgyptSat-A is an Egyptian device designed for remote sensing of the Earth. It is equipped with modern optical-electronic equipment with high spatial resolution. The spacecraft can shoot in the visible and infrared spectra in the panchromatic (black and white) and multispectral ranges. The maximum swath is 1,400 kilometers. The satellite is also capable of conducting detailed reconnaissance. For detailed shooting, the resolution is one meter in the panchromatic range and four meters in the multispectral one. 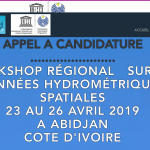 The satellite is now expected to be launched on February 21, 2019. Compared with its predecessor, EgyptSat-A will receive an improved optical-electronic system and on-board control system, a high-speed on-board radio link and improved solar panels. The share of Russian components in EgyptSat-A is significantly higher than in EgyptSat-2, however, the exact percentage ratio between domestic and imported components is unknown. On the satellite, to be installed is the domestic X-band transmitters, which have been successfully tested on the ISS. The mass of the satellite is about one ton. It will be put into orbit at an altitude of 800 by 500 kilometers, where it must work for at least 11 years.